No one would possibly have any trouble with finding Wrocław. If you enter the city from the north, along the road no 5, it is needed to make for the center, all the time keeping on driving down the road no 5. In the center the road no 5 will run consecutively along the following streets: the Bałtycka, the Reymonta and the Pomorska. At the end of the Pomorska St. the road no 5 takes a turn to the right into the Dubois St. At this spot you need to leave the road no 5 and drive straight ahead across the Pomorski bridge, and beyond it turn left into the Grodzka St. Subseqently drive down it along the Oder river and after a few hundred meters turn right into the Piaskowa St. Driving straight ahead further you will come to the Dominikański sq., where you can leave your car. 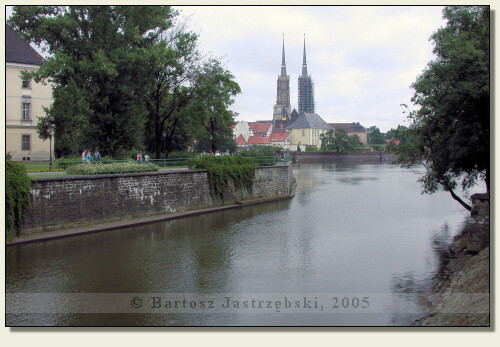 Next you must go back on foot down the Katarzyny and the Piaskowa St. to the Oder river, go across the bridge to the Piasek island, and from there go to the right across the next bridge to Ostrów Tumski. The castle in Ostrów Tumski is the most famous and the oldest castle of Wrocław. In the early Middle Ages there existed a borough of first Piasts, after 1000 the first cathedral was raised, and since the XIIth cent. the replacement of wooden buildings for brick ones was initiated. Since that moment we can use the term “castle”, which consisted of a bishop’s manor, a duke’s palace, a chapel and wooden-earth ramparts. 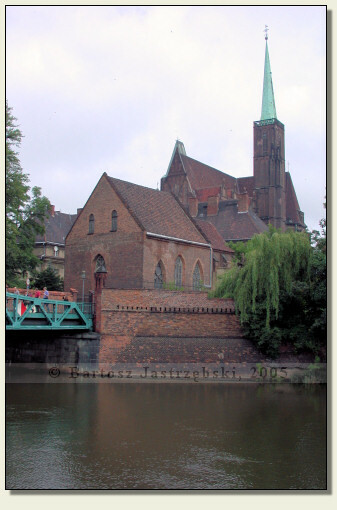 In the following years the borough in Ostrów Tumski was extending by the next buildings and chapels, nonetheless there never came into being one, specialized building fulfilling defensive-representative functions, that is something commonly regarded as a castle. At the end of the XIIIth cent. Ostrów Tumski was under stronger and stronger influence of clergy till it came to a division of the island into a western part, belonging to a duke Henryk IV and into an eastern part – bishops’. 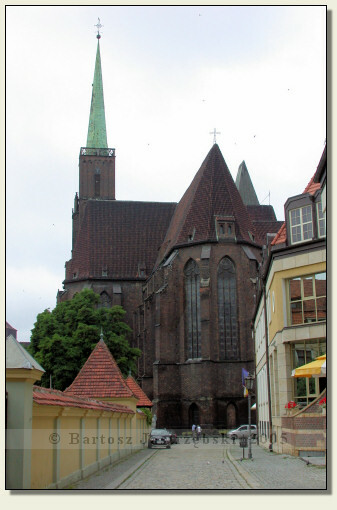 After Henryk IV died, dukes were visiting the island more and more seldom (the last document drawn up there originates from 1311), until Ostrów Tumski became the center of power of bishops of Wrocław, which it has remained up to this day.